What do you look for when you visit a new city or country? Do you depend on trip planners or do you explore the city on your own – your way, your style? Before we dive in, I would like to thank Ankit Agrawal from Travelosthan for nominating me for the Trip Expert 2017 Award. 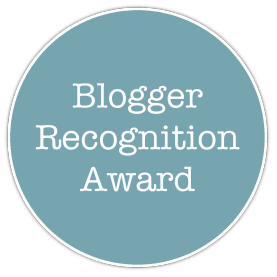 I am honoured and thrilled to be a part of this wonderful world of travel bloggers. Here’s hoping that awards like these help us grow better as travellers and as individuals. On that note, let’s unfurl a travel post for Tripscam as a token of gratitude and for my readers to benefit from. I had mentioned in my post earlier that I wasn’t too sure if I wanted to visit Laos, and Luang Prabang definitely wasn’t on my bucket list. However, my friend and I booked our ticket anyway, and without doing any research on the place, we headed to the city that eventually grew on us. Instead of focusing on the things to do, this piece focuses on the two primary aspects of any trip – culture and nature. Let’s talk about these aspects w.r.t. Luang Prabang, Laos. These aspects are enough to convince me to embark on a new journey. Luang Prabang is a green strip in the literal sense. Dense vegetation, lush flora and deep greens adorn the lanes and alleys, and sappy hues paint the stretches of the river. Kuang Si Falls: These falls blew my mind away. I was amazed at the beauty and serenity surrounding Kuang Si. Was I in heaven or was this a piece of paradise – let the pictures do the talking. Tip: Hike all the way to the top. It will take about an hour to reach uphill. Follow the same route on your way down or take a slightly more difficult path on your onward journey. As you head downhill, keep stopping by the beautiful terrace-like sections of water and take a dip. That’s the best way to cool off. Note: The water doesn’t remain this way all year around. It could get really murky during the rainy season, especially around July-September. Please check the prevailing weather conditions before booking. Tad Sae Falls: Since I visited Laos in the month of June, the dry season was on, which meant there was very little or no water at Tad Sae Falls. This worked to our advantage too. We got to witness the bare strip of moss that envelops the bed of these falls. Who would think of hiking here? Well, we did. At the count of three, my friend and I began this rather impossible, difficult trek on a slippery bed of moss. It was challenging, but fun. Another exhilarating experience was zip lining from tree to tree, for about 50 minutes, getting to witness the beauty of the forest with every blink and pacing heartbeat. Tip: Pre-book your tour inclusive of zip-lining and transport (including a 30-minute drive and 10-minute boat ride) for USD 50-70 per person during the dry season. There are two main rivers – Mekong River and Nam Khan River. The latter is a tributary of the former, with its meeting point being at Luang Prabang. Take a slow boat ride on the rivers. Depending on the type of boat you choose, the range will fluctuate from 30,000-1,00,000 Kip per person. Try and bargain, especially during low seasons. There are higher chances of getting these rides for a discounted rate at that point. Watch the sunset by the banks of the rivers. Stay put for a while to see the little town transition into the night. As an alternate, book a boat trip inclusive of a meal and local dance performance. Go to a point of confluence, where you can watch the two rivers meet. There are days when the scene is dramatic, depending on the weather and sun, while there are days where it’s a very normal affair. Then again, do not miss it as you rarely get to witness a river-merge so close. Head to a café facing the river. You get to witness dramatic hues of the ever-changing sky, watch boats ride along, see fishermen at work etc. While there is a string of restaurants along the Mekong River, the best café to watch the rivers merge is the Viewpoint Café, closer to Nam Khan River. Take the bamboo bridge if you want to cross over to the other side, the less crowded and more secluded part of the city, away from the hustle and bustle of the night market. This is the place where you get to see the rivers and watch the sun set from a vantage point. Is it free of charge? No, it isn’t. Let’s see the best ways of connecting with the culture of Laos. The best way to imbibe the insider culture is to be a part of it. We set an alarm of 4.45 A.M. one fine morning, as we had to reach the main temple, Vatmay Souvannapoumaram, by 05:15 A.M.
Here’s how it works: Those who like to watch the monks in procession must queue up across the road, put their phones on silent and click pictures with the flash off. Those who like to offer food to the monks, can buy sticky rice (preferred food) or anything else from the vendors right outside the temples. The main aim is to imbibe the culture and respect the monks. Not only did this aspect reiterate the importance of discipline, but also helped us focus on the importance of commitment and dedication. Food is the best means of getting up close and personal with the locals. It gives you an idea of their habits, environment, eating style etc. A lot can be said about the culture from the way they eat, the time they open and close their shops and the way they source their ingredients. In Luang Prabang, buffet spreads are the norm of the hour. You can take a look at the fresh meats and eats by the road just before the night market. Pick a plate, pay and fill it with all you can eat. What is the best way to eat their traditional food? Order a plate of sticky rice, section it out or roll it up and eat by hand. Luang Prabang is clearly a town that depends on the most powerful source of energy and nature, i.e. the sun by itself. Thus, the routine revolves around sunrise and sunset. Vendors are up and about setting shop, displaying their fresh produce and stacking meat by the wet market. Most of the cafes and eat-outs open by 7 A.M. for breakfast. A town that wakes up early, sleeps early. As a tourist, you might want to linger around the night market and cafes for a while, but the market winds up by 9 PM and cafes close by 10 PM max. Exceptions for slight extensions are the weekends and bars/pubs. Congratulations, and best wishes. Check out the rules here. I agree. They like to stay close to nature and meddle with it as little as possible.